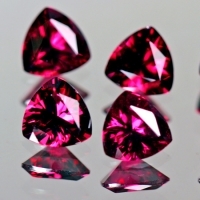 Umbalite Garnet is a blend of pyrope and almandine garnet and is in a subvariety group called rhodolite garnet. 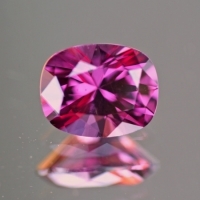 Umbelite differs from other rhodolites, mined in other locations, in that the have a light laveder purple red pink hue that will appear more red/pink in certain lighting and then more lavender/purple in other lighting, very much like a doubly refractive gemstone. 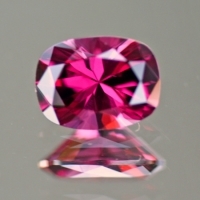 This is a unique difference from other rhodolites in that rhodolite as with alll garnets are singly refractive with a Refractive index range from 1.755 to 1.765 which is very limited Umbelites are lighter in tone than other rhodolites that are prone to extinction in poor lighting conditions where they can appear almost black. 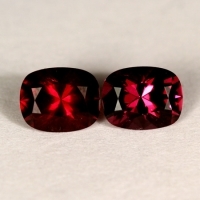 The color of these rhodolites are sometimes described as "Burgandy Red". 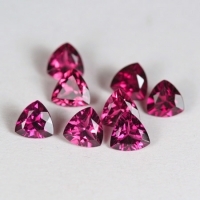 The name rhodolite is derived from the greek word rhodon "rose" and lithos "stone". 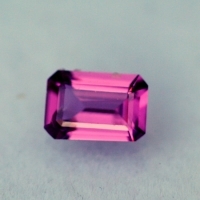 Rhodolite is found in the United States, Zimbabwe, Madagascar, Tanzania, and Sri Lanka. It is not common. 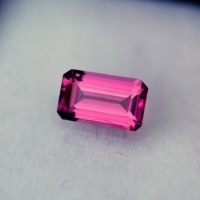 Fine grade natural gemstones from the Umba river area in Tanzania. Fine grade natural gemstone from the Umba River, Tanzania. Fine grade natural gemstone from the Umba river Tanzania.